Fauquier Health recently honored healthcare professionals within the organization who are recognized as champions of patient and resident-centered care. Spirit of Planetree recipients were nominated by their peers for going above and beyond to support or deliver extraordinary patient and resident-centered care. Fauquier Hospital is a Planetree designated facility. Planetree designation represents the highest level of achievement in patient and resident-centered care; it is the philosophy Fauquier Health uses to deliver extraordinary health care in an innovative, compassionate and healing environment. To achieve designation, an organization must meet over 60 elements of performance in 11 core dimensions. The Spirit of Planetree awards are presented in three categories: caregiver, clinician champion and pet therapy team. 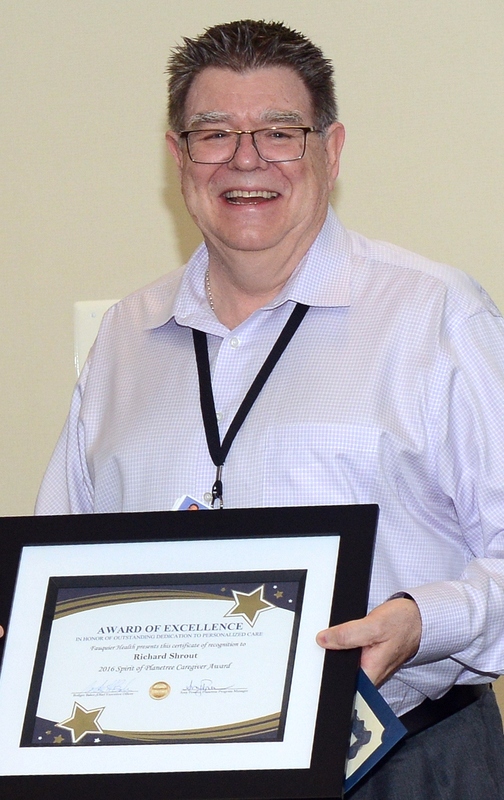 Richard Shrout, oncology nurse practitioner, received the Caregiver Award for Fauquier Hospital. Planetree also chooses special programs and initiatives that benefit patients. The Excellence in Teamwork Award is presented in recognition of exemplary team approaches to creating and implementing programs that enhance the patient and family experience. The Culture of Safety team was recognized for implementing tools and processes that create and support a Culture of Safety – a culture where individuals and teams are hyper-vigilant about safety. The team put in place new processes and systems to assure patient safety. Members of the team came from many different departments: Laura Welsh, Claudia Dornin, Fran Spearman, Margaret Rowe, Karla Kenefake-Hymens, Cindy Hobbs-Witmer, Colleen Beres, Christie Shaw, Ina Bowman, Eric Maroyka, Melissa Finley, Brenda Hartshorn and Alissa Nobblitt. The Villa, Fauquier Health’s assisted living facility, recognized Carol Fox as the Spirit of Planetree Caregiver of the Year and Casey, a furry favorite with residents, as the Pet Therapy recipient. The Fauquier Health Rehabilitation and Nursing Center recognized Brenda Payne as the Spirit of Planetree Caregiver of the Year and Dr. Ami Behiri as the Clinician Champion. Alvin, a cat from Paws for Seniors was the Pet Therapy Award recipient. 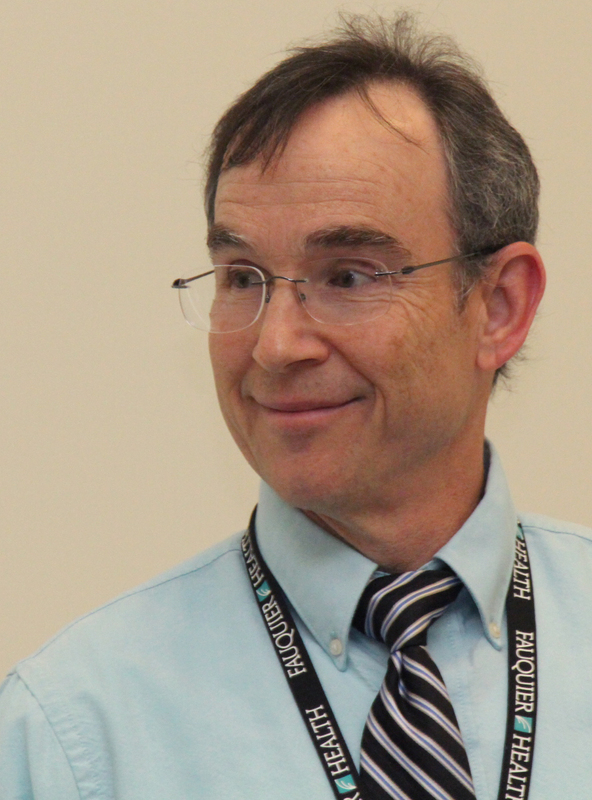 Richard Shrout headshot.jpg: Oncology nurse practitioner Richard Shrout received the Spirit of Planetree Caregiver award for 2016. Dr. Jeffrey Abrams.jpg: Dr. Jeffrey Abrams, informaticist, earned the Spirit of Planetree Clinician Champion award. 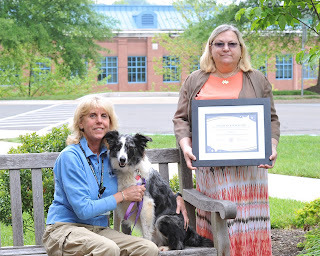 Sassy.jpg: Sassie, an aussie/border collie -- along with her handler Kathryn Gilmand and pet rep Tiffany Merkley -- was the recipient of the Spirit of Planetree Pet Therapy award.